Future Australian World surfing champions and Olympic surf stars are now able to train in an incredible new facility just south of the Gold Coast. 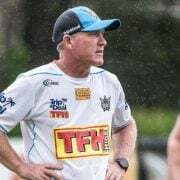 Surfing Australia’s newly expanded High Performance Centre (HPC) at Casuarina officially opened last Friday after undergoing a $7 million expansion. The multimillion dollar centre will be used as the Olympic Training Facility for surfers ahead of Tokyo 2020, a world class training environment for talented surfers from around the nation, and is also open to recreational surfers via paid camps. 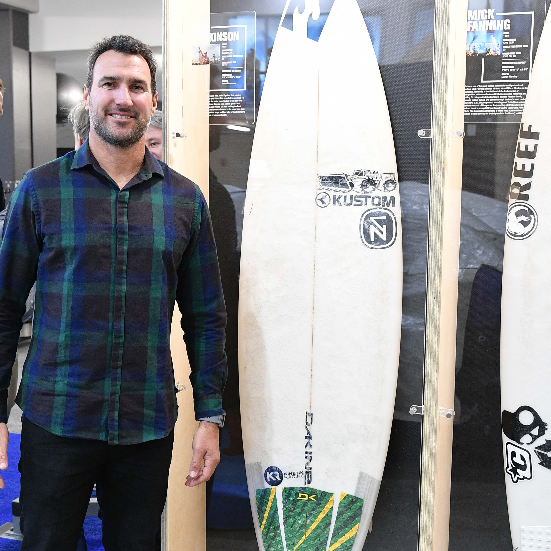 At the officially opening of the facility, 2012 World Surf League (WSL) Men’s World Champion Joel Parkinson shared his thoughts on the new facility. “I really congratulate everyone on this amazing building. It’s such perfect timing with the building complete, I can’t think of any reason Australia can’t go to Tokyo 2020 and bring home both men’s and women’s gold medals,” he said. Joel Parkinson at the official opening of Surfing Australia’s High Performance Centre. PHOTO: Blainey Woodham – supplied by Surfing Australia. 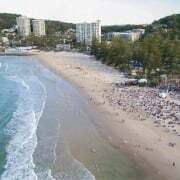 Surfing Australia Chair and seven-time Women’s World Champion Layne Beachley was also in attendance at the opening, and said it was a historical day for Surfing Australia.